Sentosa has always been one of those places that will have a special place in my heart. 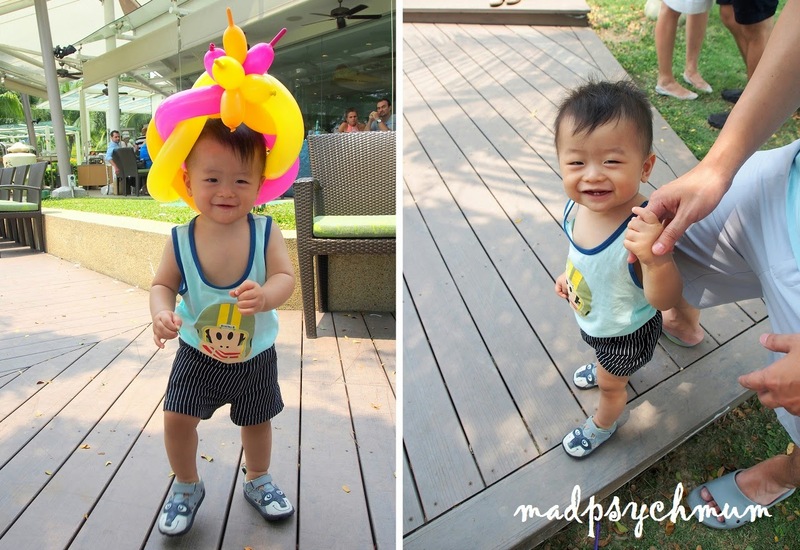 The hubby and I loved to hang out at Sentosa during our courting days and we always had a lot of fun together. We even celebrated one of our anniversaries at Resorts World Sentosa. Hence, we were very excited to accept the invitation to attend the Sunday Garden Party brunch buffet at the beautiful Shangri-La's Rasa Sentosa Resort & Spa located at Siloso Beach, Sentosa. 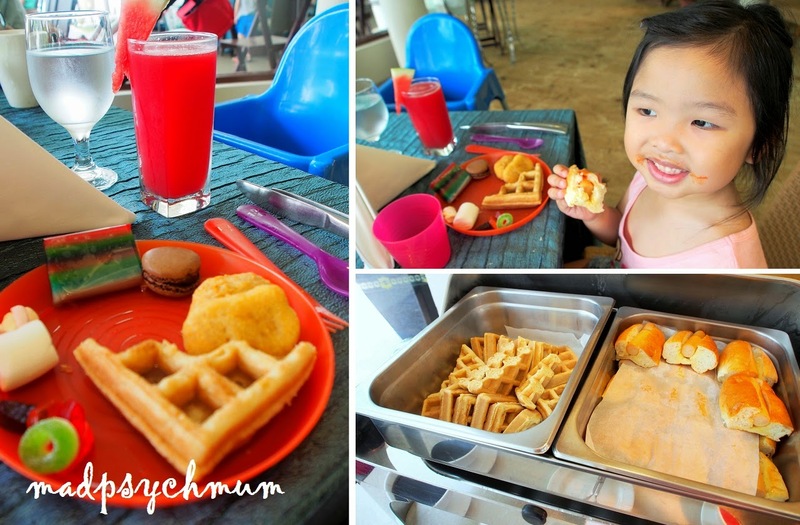 We were greeted by a whole variety of almost everything you can find on land, sky and sea! Yum! Hubby, the resident seafood fanatic, was excited when he saw the "mountain" of seafood at the seafood section! The lamb here is done really well and does not have the typical "lamb taste". The hubby is a beef lover and he said he liked it more than beef! Imagine that! There was also a section just for little humans! Waffles and hotdog buns kept warm on the burner. It was time for the magic show to start, which entertained my girl after her meal while we continued our feast. The magician had a real bird in his hat! Complimentary use of the resort's pool facilities comes with purchase of the buffet (a tag will be given to you to tie around your wrist) so we headed straight to the pool. So nice to be able to cool down in this heat! 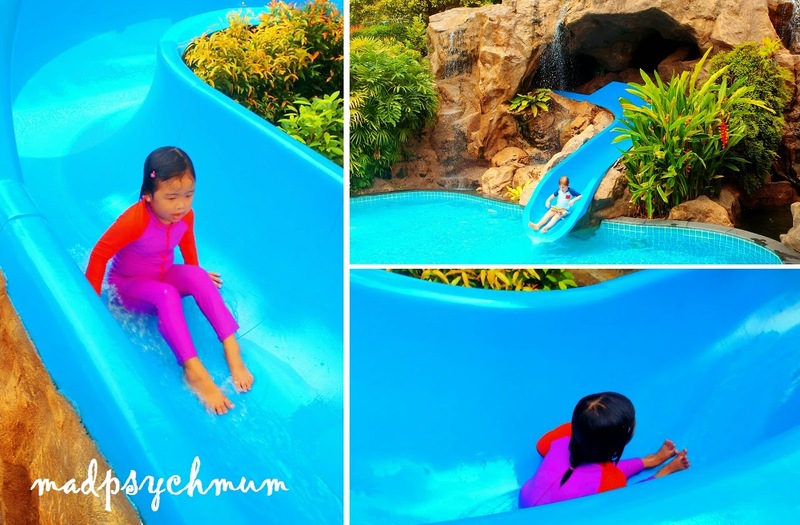 Like Golden Sands Resort in Penang, there were also slides at Rasa Sentosa. 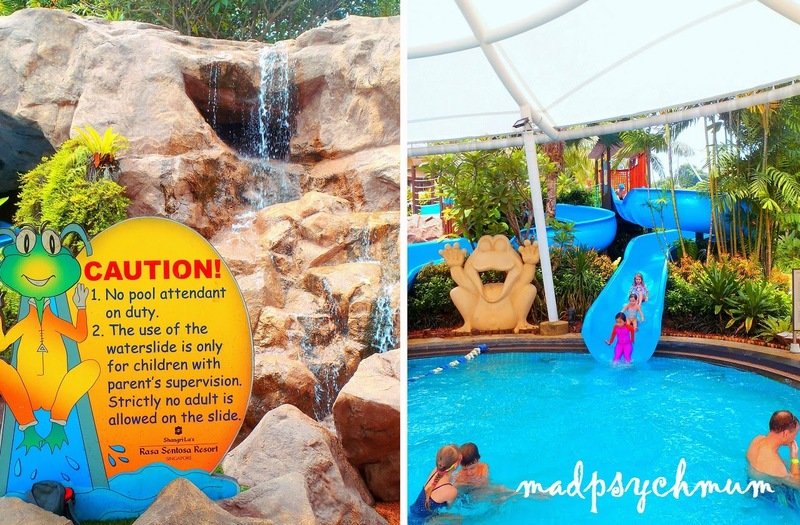 However, unlike the former, the latter also had a water playground for little ones to run about. They also had a lot more slides! There were three, yes three, slides! Girl was initially apprehensive of the slides but soon enjoyed them so much she didn't want to leave (as usual)! Going down faster and faster! 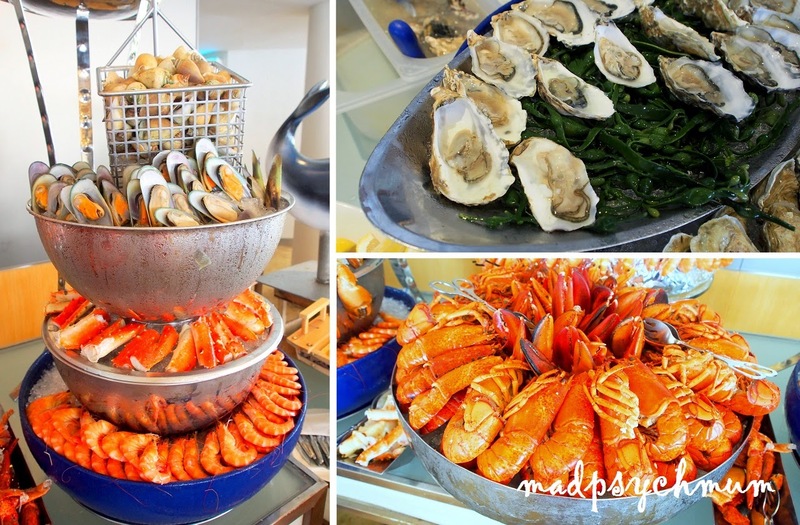 Disclosure: An invitation to the Sunday Garden Party brunch buffet was received from Rasa Sentosa Resort for the purposes of this review. No monetary compensation was received; all opinions are my own.